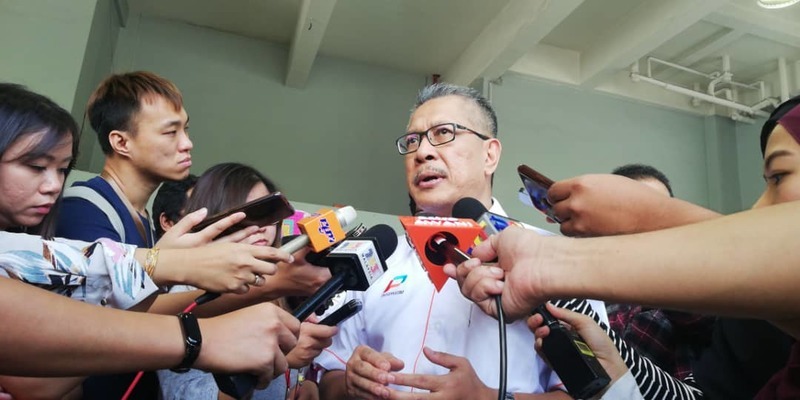 During the 14th General Elections in 2018, the Pakatan Harapan campaign promised that the rights of e-hailing (like Grab, myCar, etc) drivers will be upheld without neglecting the rights of taxi drivers. 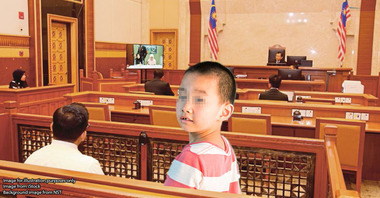 Trying to keep their promise and strike that balance, Transport Minister Anthony Loke announced that e-hailing drivers and taxi drivers will now fall under the same regulations by the 12th of July 2019. This would mean that all drivers (whether e-hailing or taxi) will have to get a Public Service Vehicle (PSV) licence, go for health screenings, and send their cars for regular inspections. 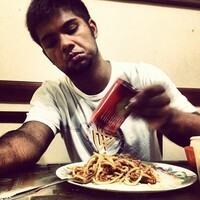 Nevertheless, we know that some of you may be in conflict as to whether this is gonna be a good or bad move. 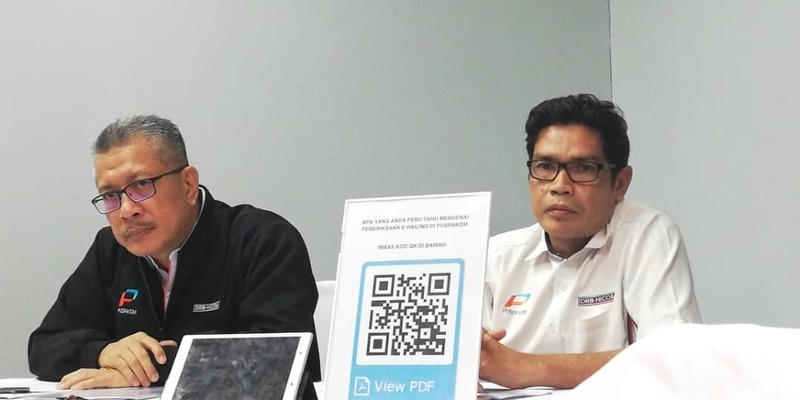 But on Sunday, we were invited by PUSPAKOM for a press conference, and their CEO Mohammed Shukor Ismail explained the car inspection procedures and also ensured the public that this is done to sure quality of services, as opposed to it being a burden. 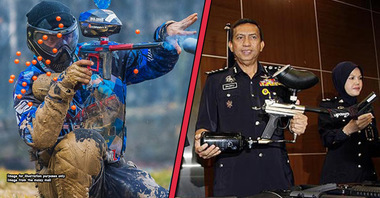 There are quite a lot of information given to use and we can’t display all of it here, but if you want, there’s a slide on PUSPAKOM’s website you can refer to. And don’t worry, we’ll refer to the necessary pages of the slides in our article. So back to e-hailing business, PUSPAKOM told us that there’s an estimated 200,000 e-hailing vehicles out there, and…. Before we tell you what PUSPAKOM is doing to handle this potentially large influx of drivers coming in for inspection, we thought it’s best to inform you that PUSPAKOM isn’t an enforcement agency. 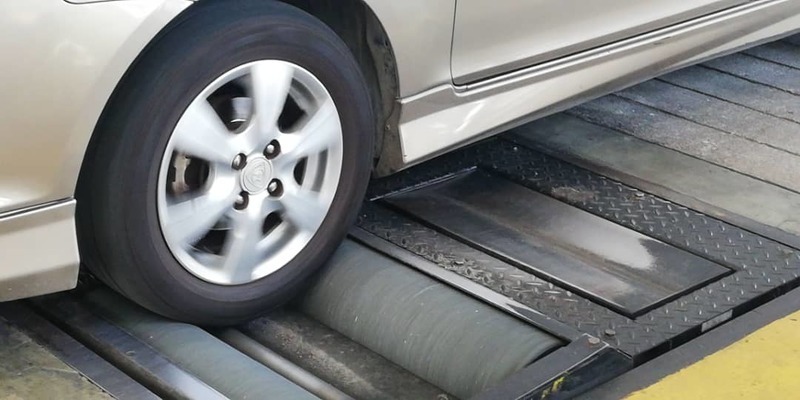 They’re basically a body tasked with conducting vehicle inspections. In other words, PUSPAKOM certifies that your car is roadworthy, if your car isn’t worthy JPJ does the enforcement. Ever since Malaysians were introduced to easy-to-use e-hailing apps where we can Grab a ride easily, the e-hailing industry has only kept growing – in fact last year, local transportation authorities approved permits for 11 new e-hailing companies last year. This seems to have resulted in an estimated number of 200,000 e-hailing vehicles driving on our roads according to PUSPAKOM. And given that the government is gonna enforce some new regulations for e-hailing soon (July 12 guys! That’s not far away! ), you’d think the e-hailing drivers would be busy trying to get themselves compliant with the regulations. Unfortunately for the new PUSPAKOM inspections required by the new regulations, PUSPAKOM told us that between April 1st and April 10th only 35 out of the 200,000 estimated drivers have done this inspection. 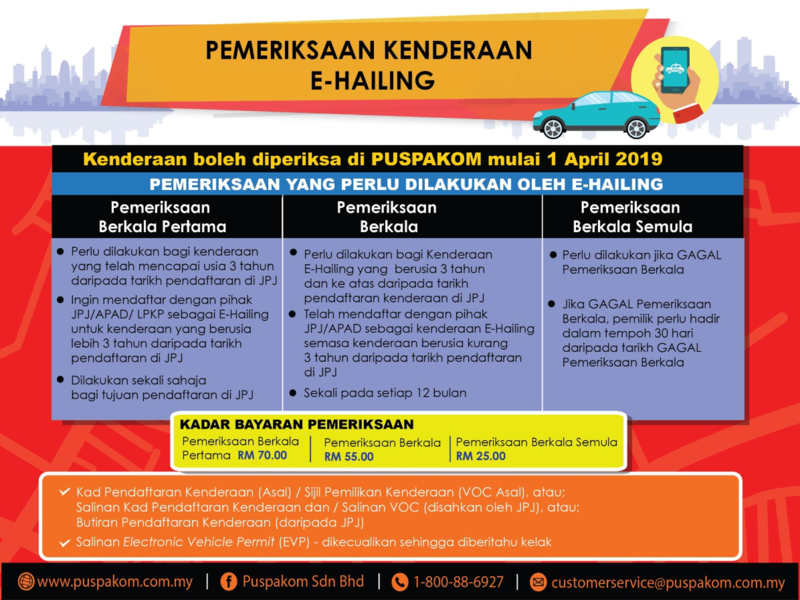 If you’re one of the e-hailing drivers who’d like to take advantage of this new operating hours by PUSPAKOM, you can click the link here to see which PUSKAPOM centre will suit your schedule and convenience. So, in addition to letting us know they have the resources to handle all these cars, they also told us…. 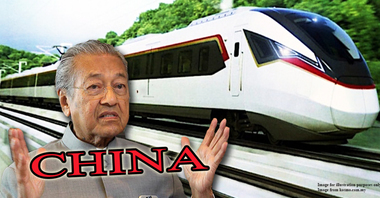 For the average Malaysian who has a car for driving to and back from work, we would’ve visited PUSPAKOM centres if we privately bought/sold a used car. If you’ve done so before, the process is known as a transfer of ownership inspection. 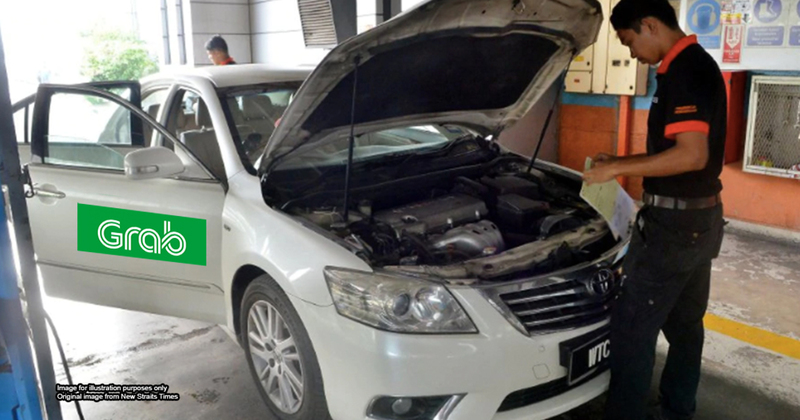 Now for the e-hailing drivers and their car, the inspection process would be a little bit different since they wont be transferring their cars to anyone. The inspection process would be conducted to make sure that the car is roadworthy for the purposes of driving passengers commercially. 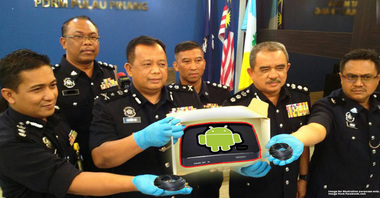 So this would mean that PUSPAKOM would check whether your brakes are working properly, there’s no illegal tint on your car, etc. 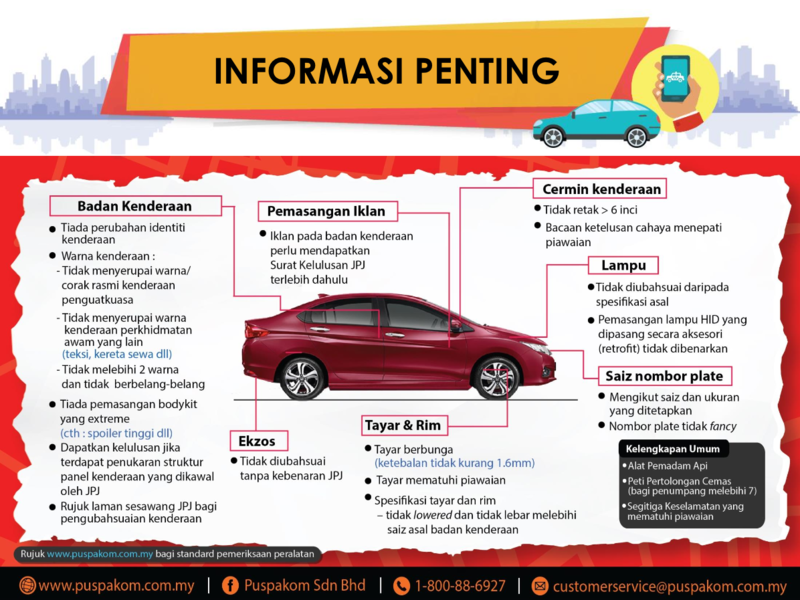 There’s a little bit extra inspection requirements by PUSPAKOM like for the placing of adverts on the car. We can’t go through all of these processes and checks for you, but there’s an inspection flowchart you can access here and there’s a chart you can look at below. As we’ve mentioned in the beginning of the article, PUSPAKOM emphasised this new inspection requirements aren’t meant to be a burden toward e-hailing drivers. They ensured that this would be beneficial for all parties, as everyone would know that their ride will be a roadworthy one. If you really think about it, you wouldn’t want your Grab ride to suddenly stall halfway now would you? Oh, and besides amping up the working hours of certain PUSPAKOM centres, they told that there’s an app you can use to book an inspection appointment called MyPUSPAKOM. 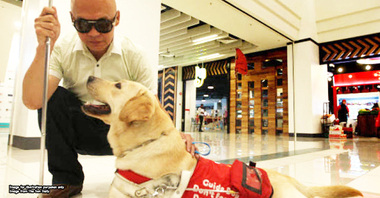 Using this app, you may be able to avoid long queues while waiting for your inspection. 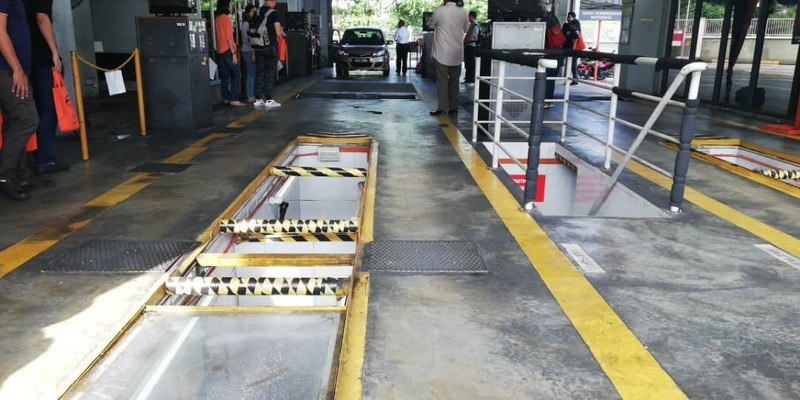 Although PUSPAKOM is prepared to handle these 200,000 cars, you probably wouldn’t want to get your inspection done at the last minute, to avoid long queues and waiting periods.